FUNdamentals is what UFIT Kids Camps are all about. UFIT creates a safe and positive sports environment where children can make new friends, whilst developing their physical and sporting abilities. Each day they'll improve their strength, speed, agility, conditioning and technical sporting skills through a range of different sports at our gym and pitch facilities. We aim to fill each day with FUN and laughter through exciting team games for them to practice their newly learnt skills with their new camp friends. We cater for all fitness levels of children aged between 6-16yrs for both boys and girls. 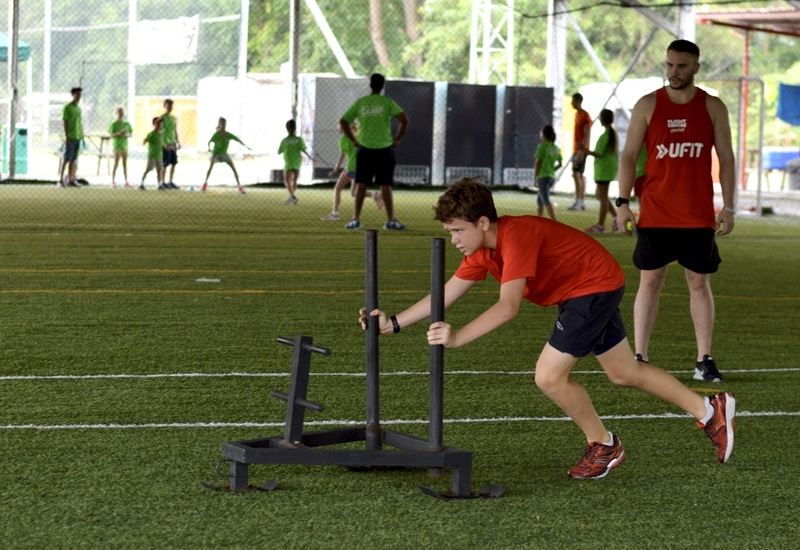 Learn what it takes to become a future sporting champion! Tell us more about your kids!